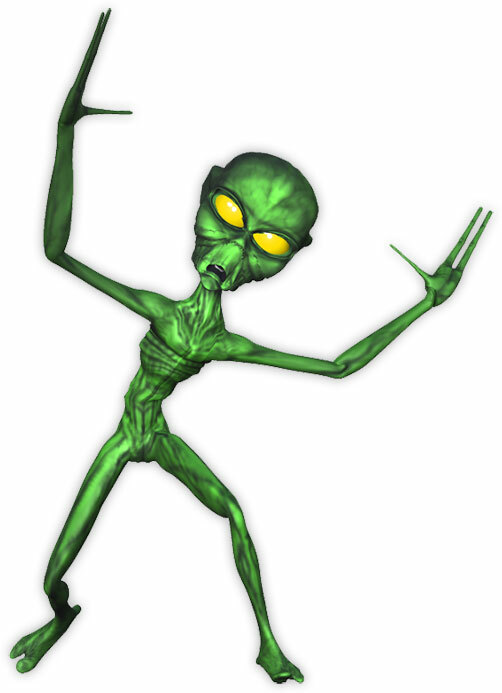 You may use our alien animations and clipart to enhance your websites. Alien with very long arms. This slightly confused alien is on a white background. A cool green alien? Perhaps it's that creepy guy that lives down the street. Aliens dancing with joy. This animation has a transparent background. 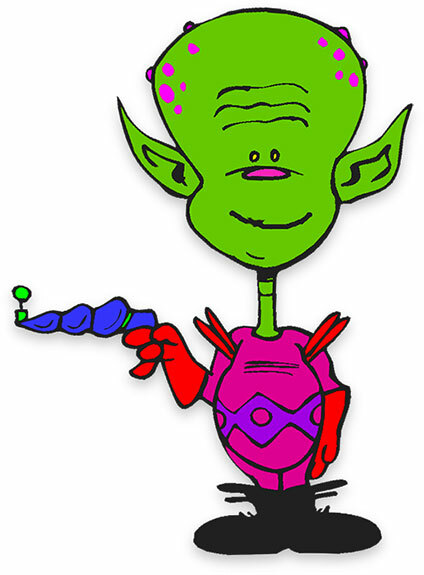 Cool space alien with his advanced ray gun. One eyed alien wearing a silly hat. This animation has a shadow and a small white BG. 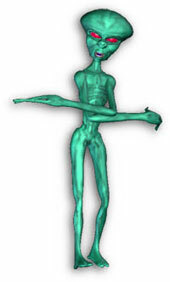 This fellow black eyed green alien was designed for white and light colored websites. 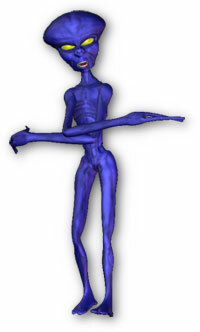 Animated blue alien walking. This animated visitor was designed for white and light colored web pages. This slow moving black eyed animated alien was designed for black and dark colored pages.